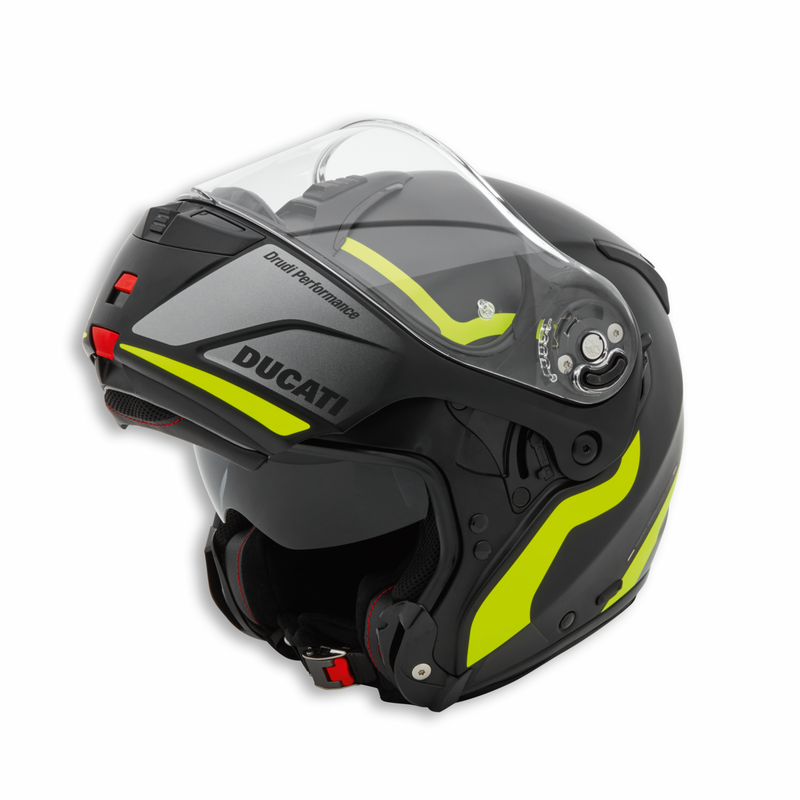 Based on X-lite's X-1004 shell, the Horizon HV is a flip-up helmet in composite fiber purely for touring use. 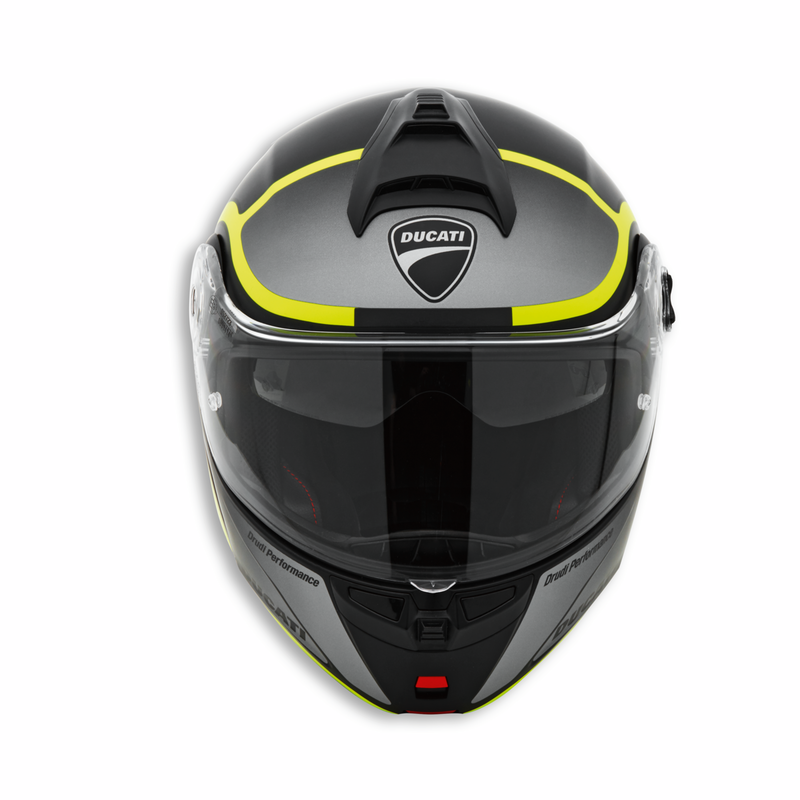 The helmet has earned dual P/J approval - which covers both its full-face and jet use - and is equipped with a chin guard featuring a dual safety opening system and a complete ventilation system. 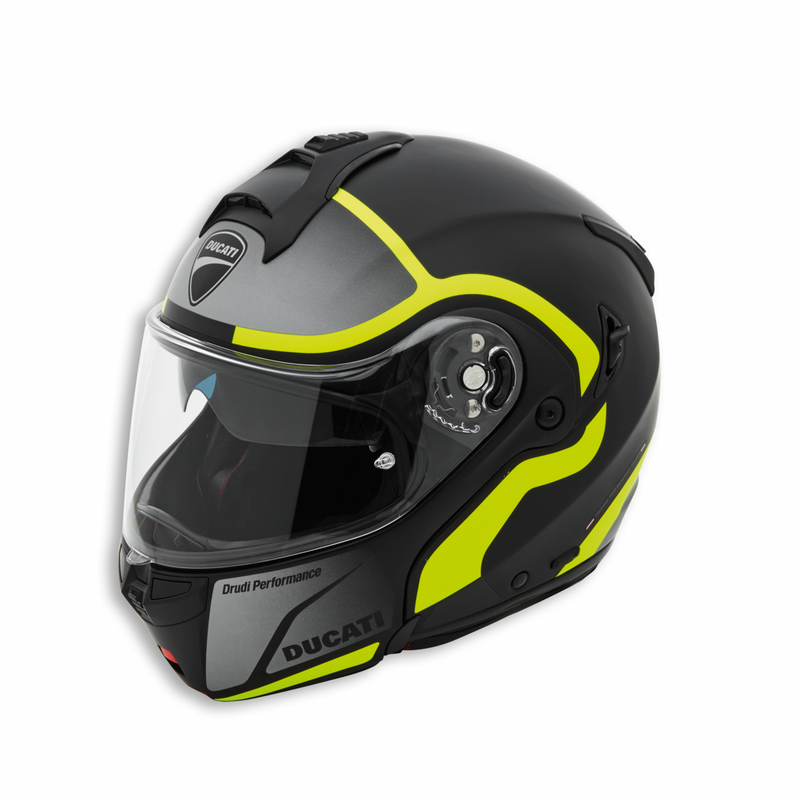 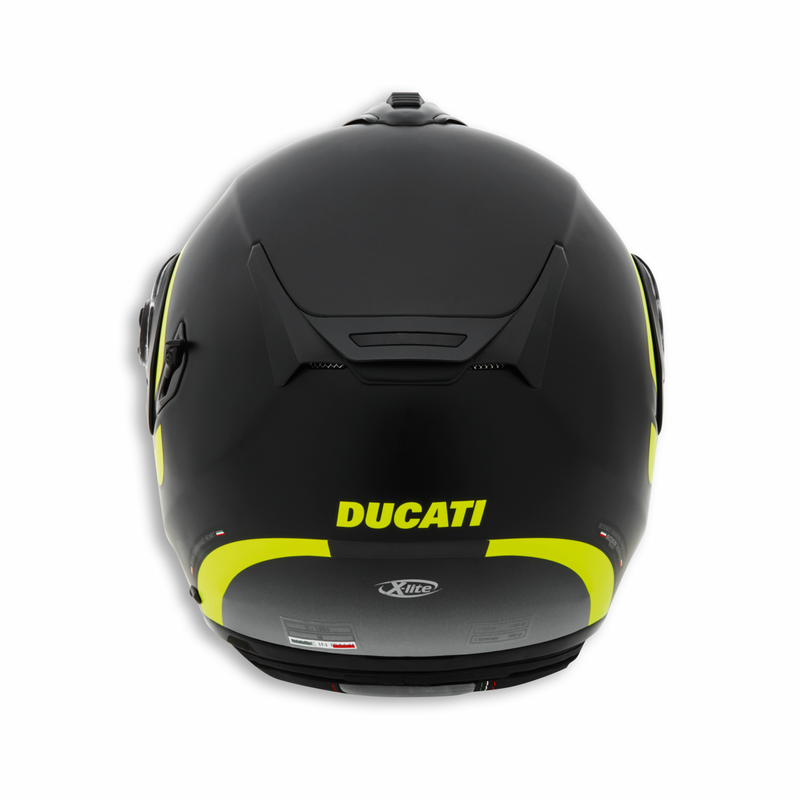 The removable and washable inner padding, the sun visor with UV 400 protection and the neon yellow combined with reflex details guaranteeing greater visibility are elements that complete the features of this product made by Drudi Performance exclusively for Ducati.